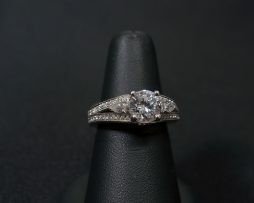 Lady’s 14kt white gold, cushion out diamond wedding ring. 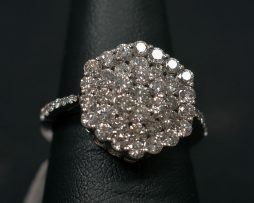 Lady’s 14kt white gold, diamond cluster ring. 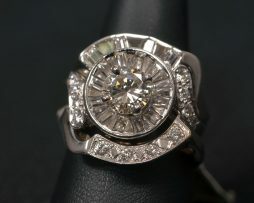 Lady’s 14kt white gold diamond wedding ring. 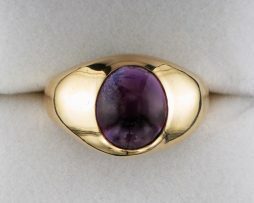 John Wallick Jewelers: Men's cabochon cut amethyst ring. 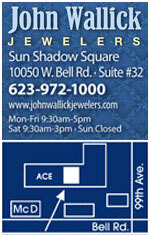 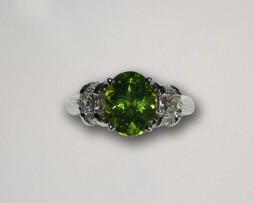 John Wallick Jewelers: Opal, Emerald and Diamond Ring. 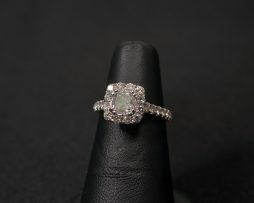 Lady’s 14kt opal, emerald and diamond ring of absolute exquisite beauty. 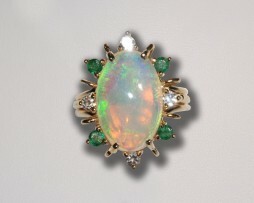 This Australian crystal opal measures 11mm long x 6mm wide. 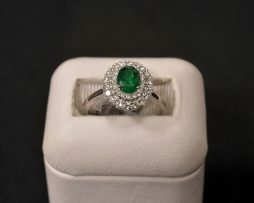 Diamonds total 0.30 carats and emeralds total 0.32 carats. 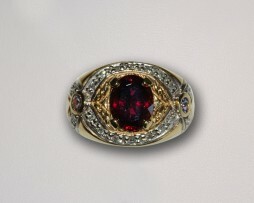 A steal at the price of $1,795.00. 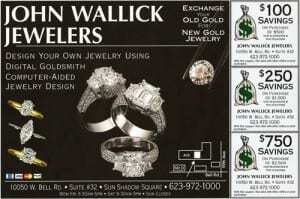 John Wallick Jewelers: White Gold Diamond Ring. 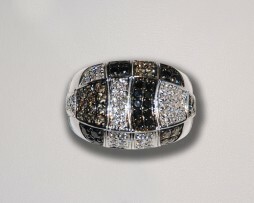 Lady's 14kt white gold ring containing 0.31 carats of white diamonds, 0.45 carats of black diamonds and 0.50 carats of champagne colored diamonds. 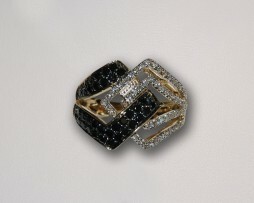 Total diamond weight is 1.26 carats and the ring weighs 8.08 grams. 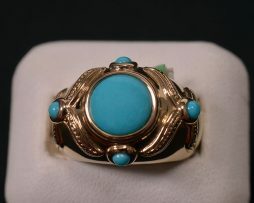 Price is $2,433.00.